Paul Tebbs is Joint Acting Course Leader for MA Photography and a writer and Senior Lecturer who teaches theory on the BA (Hons) Photography course at London College of Communication. 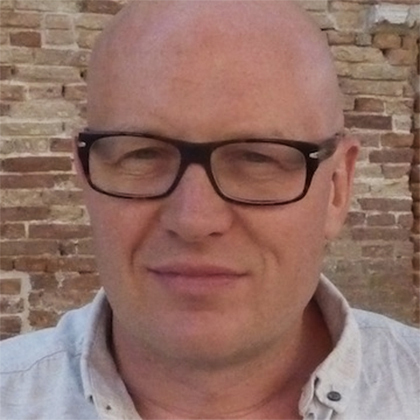 Having attended art school, Paul studied philosophy at King's College, London and completed a Master's degree in Philosophical Aesthetics at the University of Essex. He has written extensively on contemporary photography for a number of magazines. His research interests include: the philosophy of the image, art and protest, the animal within art, art-writing, and the contemporary condition of the photographic. He is the Theory Coordinator for BA (Hons) Photography, is a theory tutor for MA Photography, and he also organises the cross-course theory talks programme. A number of peer review publications are pending including 'Photography and the Erotics of Protest' and a book on 'Photography and its Objects'. Paul co-organises the Photography and the Contemporary Imaginary Research Hub at LCC.